It’s been quite a weekend for Star Wars trailers – perhaps something to do with the Star Wars Celebration event that’s just been held in Chicago. 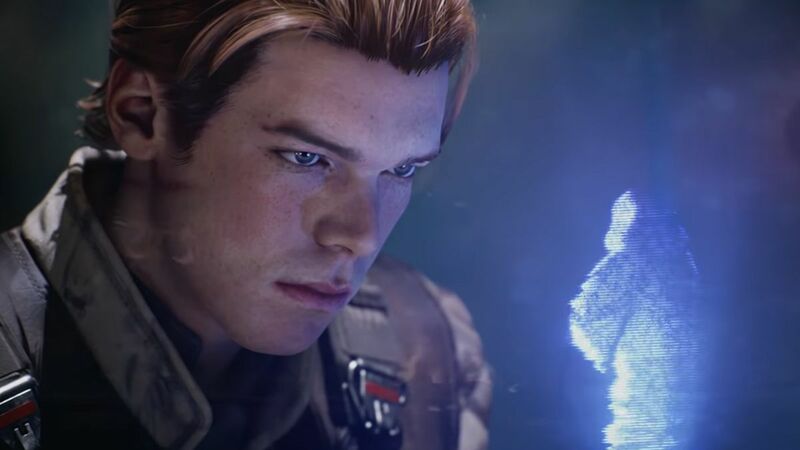 Our latest ‘first look’ comes for the long-awaited Star Wars Jedi: Fallen Order game. Although the trailer doesn’t feature any actual gameplay, it does flesh out the story a little: a single-player, third-person perspective story, free from microtransactions and with no multiplayer component. We now know the main character is called Cal, as previously rumored – Cal Kestis. He’s a Padawan in hiding, with a strict creed: don’t reach within, don’t stand out, accept the past, trust no one, and trust only in the Force. If these two-and-a-half minutes are anything to go by, consider us interested in what EA and Respawn Entertainment have been putting together. The trailer shows us Cal Kestis trying to keep his head down and stay out of trouble – something he’s obviously not going to manage through the course of the game. Cal is a new character for the Star Wars universe, and the action opens on a new planet – Bracca. Other planets will be explored during the course of the game, as Cal flees from an elite group of Inquisitors working for the Empire. Combat will be based around lightsaber melees, Respawn has revealed, and our hero Cal will be accompanied by a friend called Cere and a droid called BD-1. The game is set after the events of Revenge of the Sith – a dangerous time for the Jedi – and with a release date scheduled for sometime in the fall of this year, you can expect to hear lots more about it in the coming months.